If you are feeling fatigued, sluggish and in need of a kick-start I recommend giving my Detox Tea a try. Your body could be crying out for this! 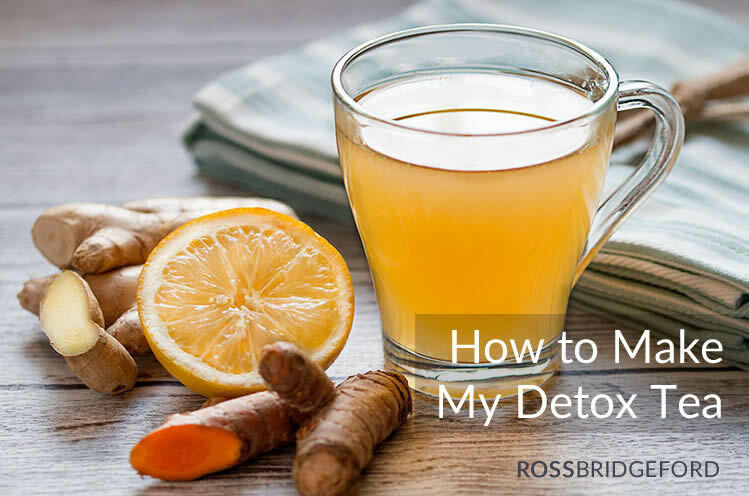 This detox tea is one of my favourite little hacks to get a big boost of detoxifying, anti-inflammatory and alkaline nutrients into my body. It takes minutes, literally, to make and tastes so good! It is a very quick solution that helps support your liver, kidneys, gut, brain, hormones and more…and it uses only powdered spices and water (and a quick squeeze of lemon), so it’s really cost effective too! Why Is the Detox Tea So Effective? The recipe is simple to make, but it packs a punch with some of the most powerful ingredients Mother Nature has provided us with. As I always say – your body is amazing – and when you give it the tools (nutrients) it needs, it will rebuild, rebalance and thrive. The combination of your body + Mother Nature is abundantly powerful. The turmeric & ginger are powerfully anti-inflammatory (study), proven to support your body in it’s defence against autoimmune conditions (study), immune imbalance (study), cognitive decline (study), Alzheimer’s (study), arthritis (study), most cancers (study) and cardiovascular risk (study). In my new book The Alkaline Reset Cleanse I go into huge depth on the importance of these two super-spices. They have been researched (especially turmeric) perhaps more than any other food on Earth thanks to their incredible anti-cancer, heart-protective, pain-relieving qualities. I try to get them daily, and this tea is an awesome way to do it. And cardamon is not only a delicious and delicate flavour, but also gastroprotective (study), lowers blood pressure (study), is antioxidant rich and immune protective (study). Stir it all together, and your detox tea is ready! I love to drink it when it’s warm – and at night as I find the cardamom to be soothing and relaxing, but you can have it any time of day and any temperature. It’s delicious iced or simply room temperature too. 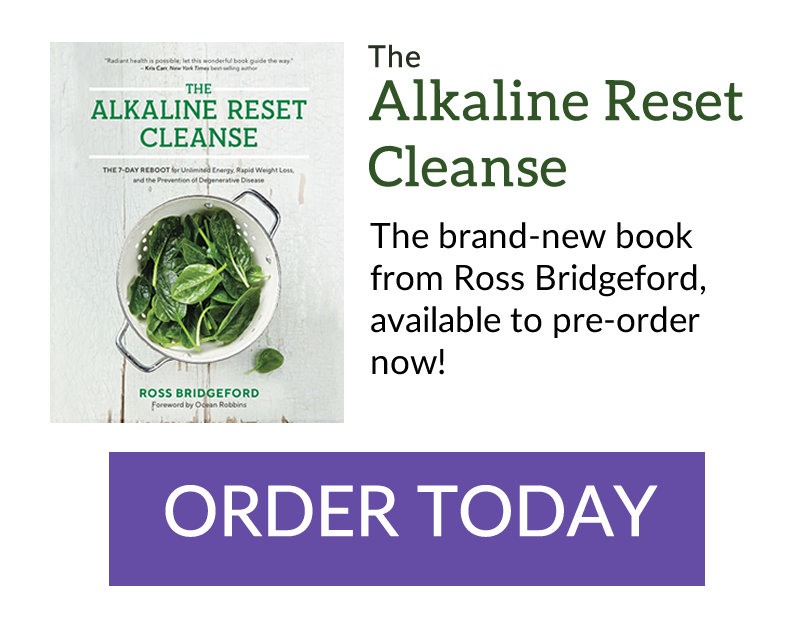 If you are doing a full alkaline cleanse (see my new book The Alkaline Reset Cleanse here) – it’s available to pre-order now with over $300 of extra products and courses as a bonus!) then I really recommend bookending the day with this tea – first thing in the morning, and last thing at night – as it will really help with the cleansing process. I live out in the Hill Country of Texas where our only water source is rainwater. That water goes thru a filtration system. There are 2 filters, a carbon filter and a sediment filter and then a UV lamp before water enters the house. Is this adequate filtration? Water tastes great but I want to make sure it is filtered enough to be part of my pillars of an alkaline lifestyle. There are no minerals in rain water. Wondered if I should add some. Thanks for all the great videos Ive watched thus far. Im already making changes and will implement this new way of approaching food selections. I am most grateful! Hi Ross, I have been following your diet for over a year now, since my husband had a bad few months outbreak of gout, a great success he has not had an outbreak for a year now thank you. My question is Iv got late on start of asthma and had a lot out outbreaks this year just spending 5days in hospital, is there anything you can surjest that could also inprove my health, I am a fit active person when not having these outbreaks. If i already drink. Lemon ginger tumeric and coconut oil. 1. Can i add the cinnamon and cardamon to that drink. 2. or Have two different drinks. Tumeric n ginger in morning n detox in evening . I have always had a warm lemon drink first thing in the morning. Now I add turmeric fresh ginger and MSM powder. I would really like your thoughts on MSM. I believe it is a blood cleanser thus being wonderful for your whole body. I have been on it for about a month to 6 wks now and I do feel good. Just wondering if this product also combines well with the alkaline reset diet. Just purchased your NEW book on the Alkaline Detox! Excited. Purchased all the ingredients and getting ready for Saturday. ironically, on the news tonight it states that the new “fad” in coconut oil is a dangerous “fad”. They stated that scientist have indicated that this fat is as bad as all the others in rising your cholesterols as well as potential heart disease as well as other dangers. Recommending staying away. Dr.Greger on his site also recommends staying away from coconut oil and all coconut products because of the fat. Who do we believe as we just purchased the jars of oil and I do not want to damage health by adding the oils in the program detox. Help? So stoked! Thanks for getting the book – I really appreciate your support and I’m so happy you’re jumping right in! They are SO protective, so anti-inflammatory, so important for heart health – please look at the research and not the mainstream media hype. remedies with little success. Do u have any suggestions? I would welcome any guidance. Thank you and Happy New Year. really helps make turmeric the powerhouse it is intended to be. Keep up the good work and i am looking forward to the ABC. Hi Ross I have essential oils in those ingredients could make tea with those ? You can, but it sounds expensive to do it that way! Hi Ross, The past 2 years I have been making a turmeric tea similar to this, but only with fresh turmeric sliced and then have it simmer for about 30 minutes. Is there a benefit to using fresh turmeric and ginger rather than the powdered? I ask because it is much easier to find the powdered version. Thank you.